Can We Sustain our Ability to Crisis? AGENDA is a catalog of 365 days, like a diary or journal: a collective narrative, personal and subjective. It documents the work and thinking of JDS Architects over a specific year marked by crisis, beginning on September 15th, 2008, the day that Lehman Brothers filed for bankruptcy. The form of the book exploits the double meaning of its title, presenting the absurdities of day-to-day architectural practice while also staking our intent. Rather than a definitive direction, our agenda is a definitive attitude - of eagerness, enthusiasm, and optimism, of criticality and concern, of fun and inquiry. It is a directive, a motivation to act, at times without clear knowledge of where our agenda will lead. “Change,” the buzzword of the last U.S. presidential campaign, is the order of the day, and the task of AGENDA is to explore what kind of change will be needed if architects are to assume a political and social agency in this new landscape. Bringing together diverse forms of content, AGENDA is a product of vigilant observation, introspection, and engagement with outside thinkers and collaborators - artists, curators, politicians, authors, economists, journalists, developers, educators, and architects. 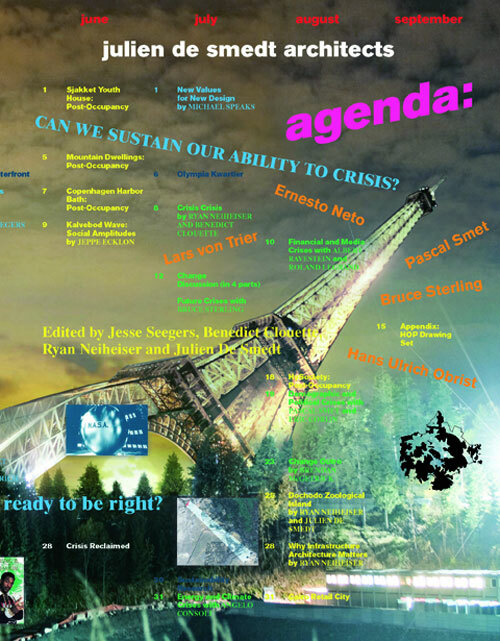 AGENDA is a record of search and research, providing more questions than answers. AGENDA is an unorthodox architecture novel. 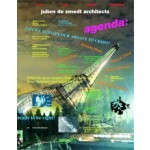 AGENDA demystifies the practice of architecture, revealing process, research, fun, and failure. AGENDA looks to both the past and the future.